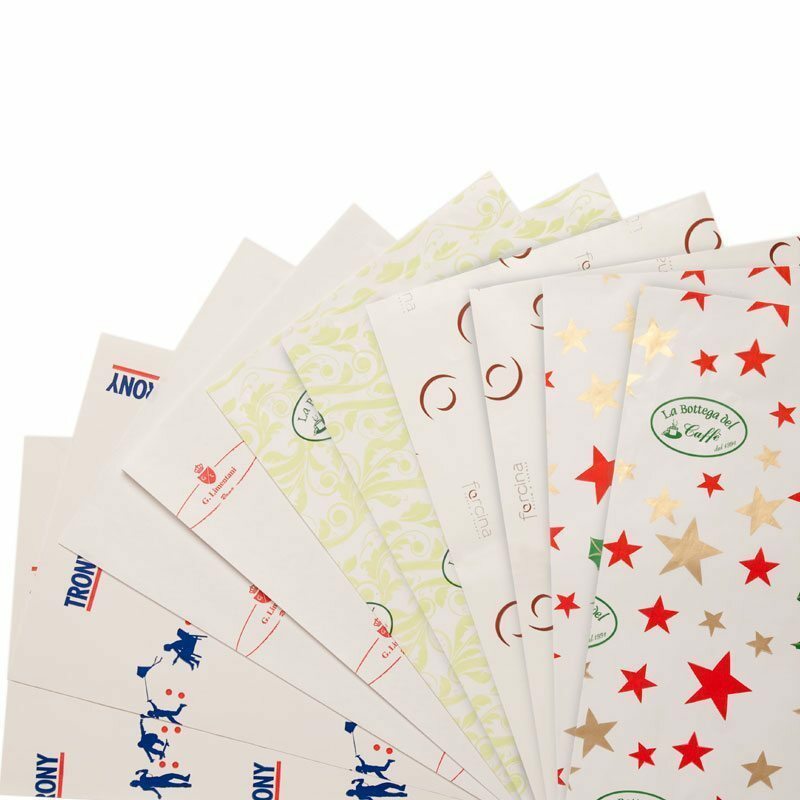 To customize the paper you use for your own business is considered by clients to add value to the product and to to give the packaging a better care. Very often the product is very cared for, but not its packaging. First of all, the value of package must be equated to the value of the product. Many times, a highly accurate packaging is created, with a much higher perceived value of the product. The typical example which can describe this phenomenon is the package applied to smartphones. To simplify: we are speaking about the production costs. A smartphone production costs about 80 dollars. Its packaging also costs 10 dollars, the value perceived by the smartphone customer instead is around 500 dollars. If you were sold a great smartphone wrapped with paper for fish, or they simply gave it to you on hand when you buy it, most likely the perceived value would be less than 490 dollars, that is the cost difference between the packed product and the unpacked one. Shoes factory are well aware if this. An average quality pair of shoes, with a nice box, a beautiful tissue paper and a brand of style can be sold, in the right stores, with a satisfactory margin. Evidently, we are not talking about “raw” paper, but a paper worked with color, graphics and the company brand. We have gift paper, or any other type of wrapping, with generic prints. Translation: “We will wrap it, well, with what we have. Come on, be satisfied with it”! Yes, of course! After checkout you will find a desk with paper, our paper. We cannot pack your gift, but we let the customers to make it on their own. And if you need some more paper, we turn around and you can take it. Among these answers, the last two are better than the first two for the Customer’s satisfaction.